^ Herring, James; Longacre, James Barton (1853). The National Portrait Gallery of Distinguished Americans. D. Rice & A.N. Hart. p. 1. https://books.google.com/books?id=gVMYAAAAIAAJ&pg=PT50&dq=%22mount+wollaston%22#PPT50,M1 2008年10月22日閲覧。. ^ Neal, Daniel (1747). amp;pg=PA216 “XIV: The Present State of New England”. The history of New-England. 2 (2 ed.). London: Printed for A. Ward. p. 216. OCLC 8616817. https://books.google.com/books?id=u3opAAAAYAAJ& amp;pg=PA216 2009年6月24日閲覧。. ^ a b c Lodge, Henry Cabot (1902). Boston. New York: Longmans, Green, and Co.. p. 7. OCLC 4276118. https://books.google.com/books?id=PnFx61kbyxsC&pg=PA7 2009年10月15日閲覧。. ^ Morton, Thomas (1883). Charles Francis Adams, Jr.. ed. The new English Canaan of Thomas Morton. Boston: The Prince Society. p. 278. OCLC 28272732. https://books.google.com/books?id=W1-m0r-Nsi4C&pg=PA278 2009年10月15日閲覧。. ^ Adams, Charles Francis (1891). 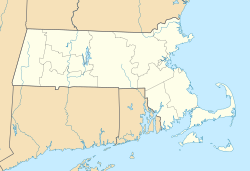 History of Braintree, Massachusetts (1639-1708) : the north precinct of Braintree (1708-1792) and the town of Quincy (1792-1889). Cambridge, Massachusetts: Riverside Press. pp. 3–5. https://archive.org/details/historyofbraintr00adam. ^ a b Pattee, William S. (1859). A History of Old Braintree and Quincy: With a Sketch of Randolph and Holbrook. Green & Prescott. p. 12. https://books.google.com/books?id=N3gdM3L6dIMC&pg=PA12. ^ Pattee, William S. (1859). A History of Old Braintree and Quincy: With a Sketch of Randolph and Holbrook. Green & Prescott. p. 61. https://books.google.com/books?id=N3gdM3L6dIMC&pg=PA61. ^ Osgood, Charles (2001). Kilroy Was Here: The Best American Humor From World War II. New York: Hyperion. p. 19. ISBN 978-0-7868-6661-8. OCLC 45532422. https://books.google.com/books?id=VzeUInvfBF4C&pg=PA19 2009年7月29日閲覧。. ^ a b c d e f Eschbacher, Karen. "Immigrants from India a growing community in Quincy" (Archive). The Patriot Ledger. July 2, 2003 (from the summary page(Archive)). Retrieved on September 8, 2015. ^ Jabaily, Robert (Fall 2007). “Coping with Economic Change: Quincy, Massachusetts”. The Ledger (Boston: Federal Reserve Bank of Boston). http://www.bos.frb.org/education/ledger/ledger07/fall/coping.pdf 2009年11月14日閲覧。. ^ Crowe, Julia (2012). My First Guitar: Tales of True Love and Lost Chords from 70 Legendary Musicians. ECW Press. pp. 92–93. ISBN 1770902759. https://books.google.com/books?id=vivVZObwWTYC&pg=PA92.